Breaking down the ONE stinger. Avengers: Infinity War bucks the trends of the Marvel Cinematic Universe in a number of ways. 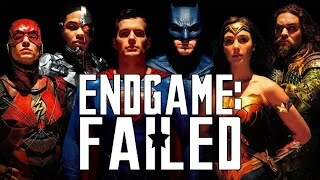 It has a villain who is complex, captivating, and a believable universe-destroying threat, and uses that to give the movie genuine stakes and actual deaths. It also becomes the only Phase 3 movie, and the first MCU entry since Age of Ultron, to have just one post-credits scene. It's a sensible decision really, because Marvel's typical modus operandi is to have one comedic scene and one of setup, but having a purely light moment would've undercut the intensity and severity of Thanos wiping out half the universe. Instead, while Nick Fury's last line is great, it still carries the necessary weight to fit with what came before it. After we've watched a dozen of the movie's heroes die tragically, the credits scene opens on Nick Fury and Maria Hill amidst the urban chaos of the world ending, listening to a broadcast about Tony Stark's disappearance and talking about getting in touch with Clint (aka Hawkeye). They come upon a crashed car with no one in it, then a helicopter crashes down, and people start disappearing around them. Eventually Hill disintegrates, at which point Fury grabs a pager out of his car and sends off a distress signal as he too begins to vanish. We then pan down and finish on a close-up of the pager, which has an ellipsis before finally showing us Captain Marvel's insignia of a gold eight-pointed star on a red and blue background. Captain Marvel is, of course, set to be the first MCU film of 2019, and the last one to arrive before the still untitled Avengers 4. It'll focus on Carol Danvers, an Air Force pilot whose DNA is fused with a Kree's, giving her numerous superpowers and abilities, with a lot of the movie expected to focus on her involvement in the Kree-Skrull War. She'll work with Nick Fury and his fellow S.H.I.E.L.D. agent Phil Coulson in the movie, which explains how Fury knows to contact her at the end of Infinity War, so it's a nice bit of setup for her solo film in that regard. However, it also places some pressure on it, as it'll need to explain why Fury - as far as we know - has never contacted her before now, and/or why she's never got involved with any of the other potentially world-ending events of the MCU. Infinity War's writers had already talked about the character's involvement in Avengers 4, but this post-credits scene further confirms that and does so to a much bigger audience. 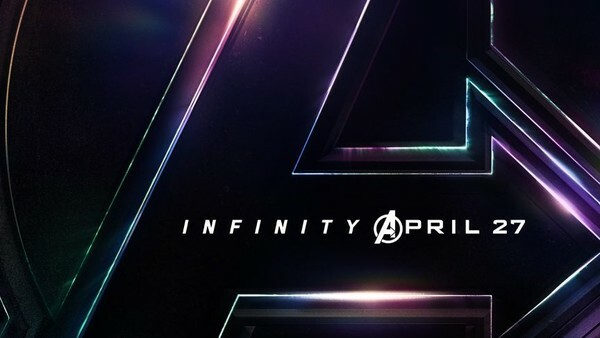 That means the sequel should see Carol Danvers heading to Earth (assuming she's currently elsewhere in the cosmos) and taking on Thanos, which is a major upgrade for the Avengers, as we've heard she is the most powerful hero in the entire MCU. She can fly, absorb and use energy, and possesses superhuman strength. So yeah, she's kind of a big deal, and with this scene being followed by the words 'Thanos will return' the showdown is on. The stinger also confirms that we will see the character's traditional red and blue colour scheme in use, after the first set photos showed her wearing a green costume. Aside from Captain Marvel, the fact it chooses this moment to make another reference to Hawkeye could be pertinent. Ahead of release a lot was made of the fact he wasn't in the trailers, and he doesn't appear in the movie at all, but mentioning him again right at the end is potentially a way of re-seeding the character in audience's minds ahead of a return in Avengers 4. Presumably, that means his family will be killed, prompting him to return to the front line. It nicely sets up both Captain Marvel and Avengers 4, while finding a way to squeeze Fury into the movie. Motherfu-. What did you think of the post-credits scene? Let us know down in the comments. Read Next: Avengers: Infinity War - What Does The Ending Really Mean?